The Pound Era begins where another era ends. Henry James, the old Literary Master, and his influence on Ezra Pound (and through him probably on many other future writers ) is the key subject in this chapter. The chapter ( and book ) opens with a 50 year old anecdote, recollected by Dorothy Pound, of a chance meeting in a Chelsea street between her young husband Ezra Pound and Henry James. Ezra Weston Loomis Pound (30 October 1885 – 1 November 1972) was then a 29 year old expatriate American poet and critic, who would grow into the leading figure of the early modernist movement. Henry James, OM (15 April 1843 – 28 February 1916), then a 71 year old American author, who would soon acquire British citizenship, was regarded as one of the key figures of 19th-century literary realism. The casual encounter between James and Pound ( not the first though, they met a few times before that ) happens also at the end of a political and economic era. The first World War is going to be declared just a few weeks later. The moment of recollection of that very anecdote neatly frames the Pound Era in time and space : from Chelsea London at the eve of the first World War to Venice and Rapallo in Italy in 1964, where Ezra, now 79 years old, would spend his last years. The meeting is highly symbolic. The old Master of Realism meets the young soon-to-become Master of Modernisme. While Pound has only respect and admiration for the older gentleman, Kenner still introduces a symbol of an artistic revolution when comparing James’ red weskit ( waistcoat ) with Théophile Gautier’s outfit at the première of Victor Hugo’s Hernani, “that formal declaration of art’s antipathy to the impercipient” that took place on 25 February 1830, when Romanticism effectively challenged Classicism as the new art form. That is how the past exits…. Kenner has expanded the anecdote of the meeting to a full 3 pages. It is however merely based on a very short fragment, a quick jotting in Dorothy Pound’s journal. A parenthesis is made in this interpretative musing on the meeting anecdote, when Kenner refers to the Classical Poets Sappho, Alcaeus and Ibycus whose work we really only know through scraps of parchments, texts discovered in old Egyptian graves. Kenner explains :” That is how the past exits….The imagination augments, metabolizes, feeding on all it has to feed on, such scraps”. Fragmentary scraps of sentences, sometimes even unrelated stray words are often used by Pound in his poetry ( Lustra, Cantos ) and have probably been inspired by those recovered fragments of Classical poetry and the gloss it inspired. Europe is at the brink of a World War and will soon descend into a dark age. The end of the James era coincides with the end of the world as was known hitherto. Kenner quotes from Barbara Tuchman’s Guns of August. An example of this descend into the dark ages is the destruction of the incunabula-filled 15th century university of Leuven by the Germans. The World War will be an inspiration for many poets of destroyed worlds and ruins and battlegrounds. Back to Henry James. Shortly before his death in 1916, he changes to British nationality because he is offended by America’s hesitation to intervene in WW1. The Golden Bowl, his last major work, is not understood by the critical public. “Not again, not again, the old men with beautiful manners”. For a dazzled young Pound, Henry James would always stand for tradition. The tradition of effortless high civility. 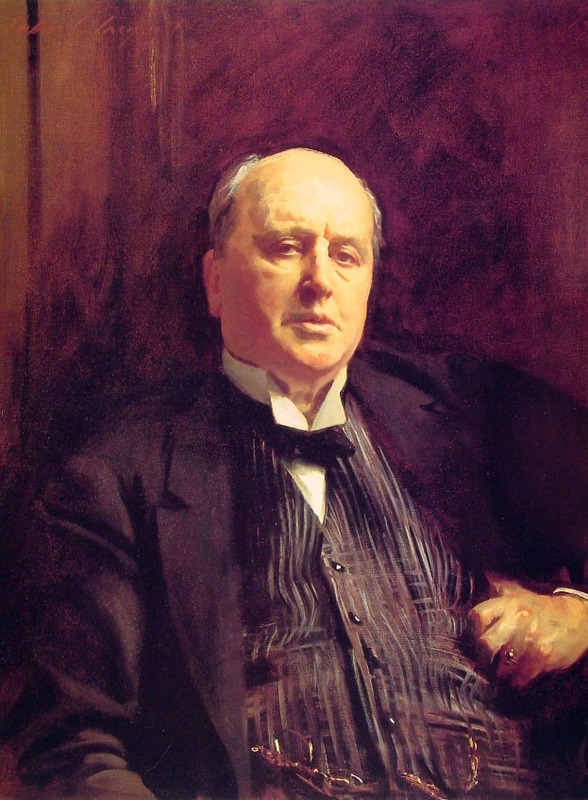 Henry James is a synecdoche for “custom indicating high culture”. Pound respect for the old old Master shows that Poundian Modernism is not rooted in iconoclastic sentiments. Pound and James have met but a few times. The young poet always surprised of James’ disregard of Latin and Greek. The old Master on the contrary, a joker, using seamless mischievous hyperboles and trifles with aesthetic consecrations to slightly shock his young admirer. Pre -war London that is about to disappear. For the affluent it was a world of entertainment and fun. The anecdote of the whirligig Princess Lydia Yavorska Bariatinsky buttonholing Henry James during a party in a garden in the Temple, finishes the subchapter. It will remain for Pound, a sanity - saving memory. He alludes to it in a scene of the Sirens accosting Odysseus in his Cantos 79 (NDE 488). Cantos 79 might have been written in 1944, on toilet paper, in Pound's cage. Kenner goes on remembering conversations with Pound who in turn remembered James and Eliot. The Pound - Kenner meetings took place in the fifties in the building and gardens of St Elisabeth hospital ( the nut - house ) in Washington. Most entertaining is Ezra Pound mimicking Henry James’ speech and manners, with its characteristic deferring and deferring of climax. The discussions Kenner had with Pound could suddenly trigger for the Canadian understandings of arcane details hidden in the Cantos or other works. When James’s dies in January 1916, Pound would read the entire corpus of the old Master in one and half year. The chapter shortly diverts to the invention of writing by Cang - Jie and Chinese ideograms. The ideogram of sensibility is explained and the concept of sensibility is then linked back to Henry James and his influence on other Modernists. Kenner now connects the summer heat of Washington, he experienced when visiting Pound at St Elisabeths hospital, with James’ summer suffering in Washington during his American reading tour in 1904 - 1905. Henry James collected his travel impressions in American Scene, without question the most controversial and critically discussed of James' books. The American Scene is pervaded with comments on money, on usura, sharply criticizing what James saw as the rampant greedy materialism and frayed social structure of turn-of-the-century America. While James dwells in his book and letters on intelligences not in evidence ( “the muses have fled, an empty scene” ) and remembering ghosts of the past, most notably James Russell Lowell (1819 – 1891) and Henry Wadsworth Longfellow (1807 –1882), two Fireside poets, Kenner would like to see in this last travel to America a ceremonious benediction by the old Master of a new congregation of Poets. A benediction however in absentia of an invisible congregation, as James missed, unaware, opportunities to meet the upcoming generation : W.C Williams, for instance, who was studying medicine at Penn, or Ezra Pound who had already escaped to Europe, Marianne Moore and Tom Eliot ( TS ). Neither could James have been aware of Ernest Hemingway ( born 1899 ), Wallace Stevens ( born 1829 ) or Louis Zukovsky (born 1904 ), who they too, through the influence of Pound would be infused to some extent by the art of Henry James, long after he passed away. The missed chance of key Literary people to meet ( even for an anecdotal moment ) and therefore failing to take notice of each other works, seems to be an unspoken recurring theme in Kenner’s book. Maybe to underscore that it was really Pound who had connected old and new. Henry James seems not only to have missed the new congregation of Artists, but he missed his appointment with the 20th century in general, as neither he nor the changing world took notice of each other anymore. James’s time was over. It was the old writer who would disappear, not, despite two awful World Wars, the next generation. James spent nearly a year on his American tour from August 1904 to July 1905. He travelled the entire country and even made decent money from public lectures ( on Balzac ), usually to ladies' organizations who he made "pay me through the nose." 1904 was also the pinnacle of his art with his masterpiece The Golden Bowl. The book explores the tangle of interrelationships between a father and a daughter and their respective spouses. It addresses James's essential theme, the meeting of two great cultures, English and American albeit with a menacing twist. There was in 1904 for instance the foundation of the Ford Motor Company, the Wright brothers first flight, Henri Poincaré dissertation “ a principle of relativity” and Pablo Picasso starting his blue period. There was also Ivan Pavlov’s Nobel Prize, Igor Stravinsky choice of music above law on instigation of Rimski - Korsakov and the publication of Psychopathology of Every day Life by Freud. There was the silent short Western : The Great Train Robbery ( 1903 ), considered a milestone in film making.The film used a number of then-unconventional techniques, including composite editing, on-location shooting, cross cutting editing, hand colored scenes and frequent camera movement. Finally, and tongue in cheek, there was in 1904 and especially on June 16… The first Bloomsday, James Joyce ( another monument of Modernism ) set his epoch making novel Ulysses on that day, the day he met his wife Nora Barnacle. Joyce would leave Ireland for Paris - Trieste - Zurich on 8 October 1904. Henri James however recorded different things in his letters: the absence of sensibility in New Hampshire ( immodesty, vulgarity ) for instance and in New York, the artless need of patrons getting themselves explained, especially when they were already explained by the ample possession of money. Kenner brilliantly finishes his introductory chapter by gently ushering the reader towards a last work by James: The Jolly Corner. The Jolly Corner ( 1908 ) is a short ghost story first published in The English Review, ( Ford Madox Ford’s magazine ) in December, 1908. It describes the feelings and emotions of an elder man as he prowls through the rooms of a large, but now-empty, New York mansion where he grew up as a kid. During his wanderings he stumbles on a ghost, a “sensation more complex than had ever before found itself consistent with sanity.” The ghost looks like a maimed ( missing fingers and ravaged face ) version of himself. The ghost story can be understood as a man ( the author H. James ) meeting his double, an alter-ego, who could have been him, had he chosen to remain in America, pursuing a career and money instead of becoming a writer exiled in England. A writer cornering a ghost of himself in “The House of Fiction”is a neat symbolic trouvaille to announce the end of literary Realism, especially when one remembers the credo of the realistic school, the Flaubertian invisibility. “…il ne faut pas s'écrire. L'artiste doit être dans son oeuvre comme Dieu dans la création, invisible et tout-puissant ; qu'on le sente partout, mais qu'on ne le voie pas” Flaubert had said to Marie-Sophie Leroyer de Chantepie in a letter of March 1857. A writer should not ( even as a ghost ) be visible in his own work.